The current iPad Air that is available on the market has only 1 GB of ram. This is fine for the operating system on these iPads, and is plenty enough to power the things you are going to do on there. However, the newer generation of the iPad Air is rumored to have an increase in memory to 2GB. This is causing a lot of speculation from many tech fans. Some people are speculating that the significant rise in memory is to allow for split screen multitasking, it makes sense as this is a feature that many of the iPad competitor tablets already have. The split screen feature is not something new for other devices, but will be a brand new thing to the iPad. If you have ever used a Windows 8 computer or the Microsoft surface tablets then you already have some idea of what a split screen operating system can be used for. You can have so many things going on at once that it feels like the internet is an extension of your will. With the upcoming features that Apple plans on having in this iPad, a larger amount of memory is necessary. This larger amount of memory will also make the split screen feature run extremely smooth – probably like nothing you have experienced on a Windows computer. The newer iPad is also expected to get an A8 processor which will aide in the speed and power the tablet needs to compete in the market. The new iPad Air is the only model of tablets made by Apple that will have 2GB of memory. The other versions will remain at 1GB of memory, for the time being. 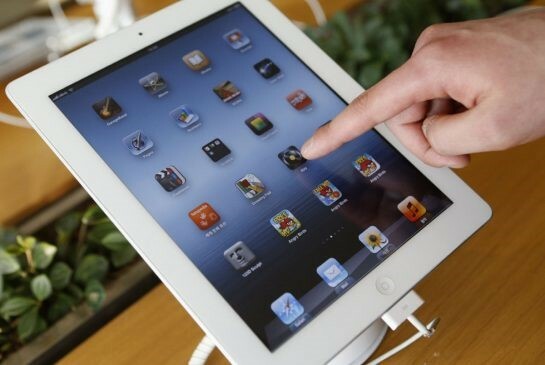 This new generation iPad is also rumored to be 1mm thinner than the previous 1GB version. Which on paper doesn’t seem like much of a difference, but when you are holding it you can definitely tell it’s lighter and thinner. Also, if you currently have a cute case or accessory you may need to purchase a new one for your next iPad. The upgrades don’t stop at just the internals for the next gen iPad Air, it will also be getting an improved camera coming in at 8 megapixels. You’ll be able to take clear and crisp photos directly from your iPad. This is nearly double an increase when compared to the current generation iPads that have 5 megapixel cameras. Though the previous iPad models have operated well, many people are not happy with the low level of memory these devices have. These are the people who want to have hundreds of applications and run them all at the same time, but small amounts of memory can cause the operating system to slow down if too many apps are running. This might sounds unreasonable but many people want to multi-task like this or simply don’t want to go back and close apps they’re no longer using. When you have several things going at the same time it makes it easier to navigate through what you are doing. This type of work is important for people who do a lot of research or work directly on their iPad. Having more memory is essential for people who are trying to use their iPad frequently and never have it lag or freeze on them. And for the gamers they will definitely notice an increase in performance. This increase in memory is going to convince a lot of people to switch over to an Apple tablet or purchase the newer one even if they have the current iPad, as they will finally be able to do more things. Tips and Tricks to Use Social Media for your Advantage! Bingo.. nice article and up to point. Thanks man.